Whole Foods decided to have Wild Oats for its latest meal, gobbling up its distant rival in a bid to stave off competition from the Safeways, Giants and Wal-Marts of the world. Short story: Organics and natural foods are hot, Wild Oats has been adrfit, and another player could have swallowed it up and created more formidible competition for Whole Foods. What none of the news stories note, however, is that there was a traditional antipathy between these two companies, more than a competitive rivalry and something closer to extreme distaste. One could imagine that this very smart merger could have happened years earlier, without it. The October 2006 exit of former Wild Oats CEO Perry Odak (who came from Ben & Jerry's in 2001) cleared the way for Whole Foods to make a merger overture - something that was aided by Wild Oats continued inability to gain significant traction. Although Wild Oats had remodled stores and opened new ones - including, finally, a large store to compete with Whole Foods in its home turf of Boulder, Colorado - growth never really kicked the way it had at Whole Foods. It was always a distant second. Wild Oats's sales per square foot - a typical industry measurement - are only 49 percent of Whole Food's. That means the typical customers visiting Whole Foods are buying twice as much stuff. Downsides? Merging the culture of two companies who have a history of bad blood. But then again, "it's just bizness" and I imagine the Oaties will get along fine in Whole Foods. Making baguettes by hand was one of the biggest challenges I faced as a home baker. I tried recipes for several years and then gave up, convinced a baguette couldn't be made at home. 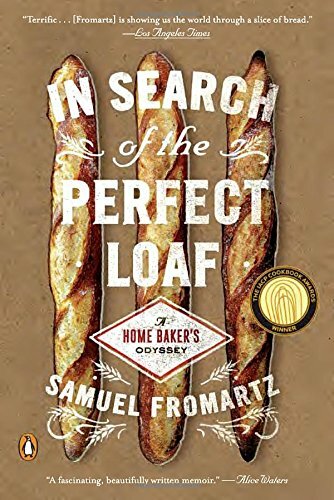 But after about a decade of baking, I returned to the iconic loaf and came up with an award-winning recipe. If you have questions on the recipes or bread making techniques, I welcome them, but please put them in a comment on a blog post or on my Facebook page.